Research Interests: My primary interests lie within the broad spectrum of surface processes and tectonics, as well as their interactions with climate. My specific pursuits include utilizing and developing quantitative techniques (thermochronology and terrestrial cosmogenic nuclide dating) to better understand geologic processes specific to geomorphology and tectonics (e.g. erosion, exhumation, uplift, incision). My previous and current research ventures have focused on the Greater Himalaya of northern India and Bhutan. My research relies heavily on fieldwork and the processing of samples gathered in the field. Research Interests: I am generally interested in how landscapes respond to changes in climate, tectonics and land use. Specifically, how hillslopes and channels adjust to these changes, and whether we can use the current topography to infer past conditions. I use a combination of field surveys, digital elevation models, and cosmogenic radionuclides to infer process, quantify topography, and measure long term erosion rates. 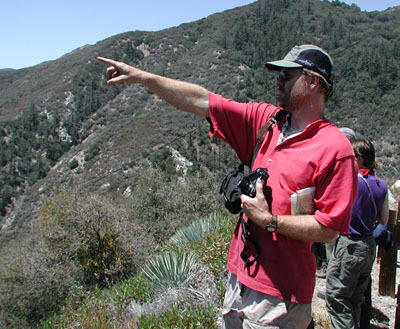 I am currently working in the San Gabriel mountains in southern California. Research Interests: While at California State, Monterey Bay, Jeni worked with Dr. Douglas Smith, monitoring active geomorphic features such as gullies and landslides as well as completing a paired watershed comparison and establishing annual sediment budgets for impaired streams. In June, 2006, she completed her Master's degree at the University of California, Santa Barbara with Dr. Jordan Clark. For her thesis, she used multiple tracers to examine ground water travel times at an artificial recharge facility. 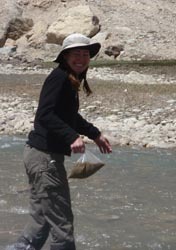 Jeni began her PhD work with Kelin and Kip in August, 2006; she is working on the southern edge of the Tibetan Plateau, using low-temperature thermochronology and process geomorphology to establish rates of erosion, ages of neotectonic faults, and constraints on minimum ages of major Transhimalayan river gorges. 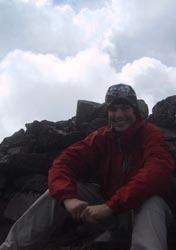 Research Interests: Broadly, I am interested in landscape evolution over a wide range of spatial and temporal scales. This includes improving our understanding of the details of fluvial incision mechanics, natural hazard prediction and mitigation, modern climate change and other anthropogenic effects on surface processes, and dynamic feedbacks among climate, tectonics, and erosion. My dissertation research focuses on quantifying climatic controls on erosion rates in mountainous settings. To do this, we collect river sands from a diverse suite of climate regimes and determine erosion rates by measuring cosmogenically produced radionuclides. Research Interests: I am interested in the processes that shape the Earth's surface occurring over various spatial and temporal scales. I mostly focus on fluvial systems or rivers, which are part of the landscape and affected by other physical, chemical, and biological processes. I use many methodologies including theoretical analysis, numerical modeling, physical experiments, and field work. I am currently conducting a number of experiments at the ASU Flume Lab. 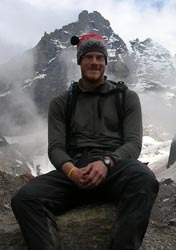 Research Interests: Xavier Robert is a CIFAR Junior Fellow working under the joint supervision of Alessandro Forte in the D�partement des sciences de la terre et de l’atmosph�re at the Universit� du Qu�bec � Montr�al, Kelin Whipple in the School of Earth and Space Exploration at Arizona State University, and Peter Reiners in the Department of Geosciences, University of Arizona. 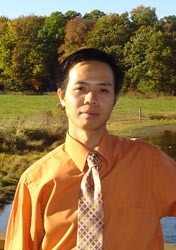 Xavier’s research to date has focused on the evolution of mountain belts. He has devoted much of his work to exploring the links between erosion, other processes that shape landscapes, and active tectonic movement within mountain belts. 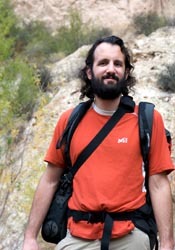 Xavier uses a variety of techniques to study this evolution across multiple scales of space and time, including field experiments, computational modeling, and especially low-temperature thermochronology – the study of the correlation between time and rock temperature. During his Junior Fellowship, he plans to extend his research to larger space-time scales by focusing on how the evolution of major structural variations in the deep earth has influenced the shape of the Earth’s surface on regional scales. This work will integrate the techniques mentioned above with studies of the evolutionary formation of rivers and plateaus. Research Interests: Michael has twelve years of experience working the field of Geographic Information Systems (GIS) in both private and academic settings. His primary expertise lay in the development of spatial-analytical tools and the extension of existing tools to the geophysical sciences. He has also done work in the realms of 3D visualization, GIS instruction and training, GIS for resource management, and remote sensing analysis.